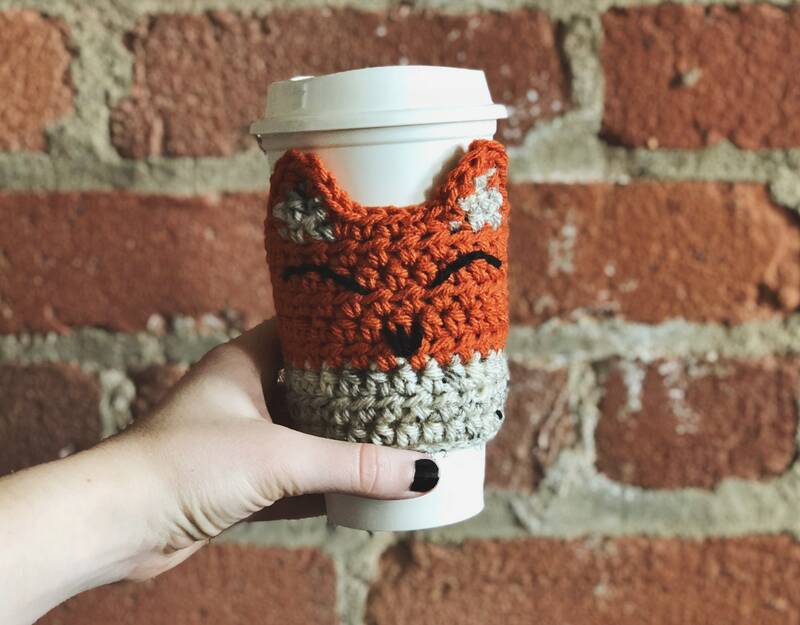 This Fox Cup Cozy is a quick and fun crochet pattern you can make over and over again! - Please note this listing is for a pattern only. - Pattern is written in US terms. - This pattern will be delivered via email or can be downloaded in your purchases page on etsy in the form of a digital file (PDF) after payment is confirmed. - This pattern comes with helpful tips and pictures. Please follow and tag @kneedlesandlove and/or hashtag #madewithkneedlesandlove on Instagram for your work to be featured. I would love to see your own fox cozies being made! This pattern and pictures are the property of Kneedles & Love by Kalley Reedy and may not be altered and sold. The use of patterns/ pictures for resale purposes is prohibited. Please see policies in pattern for rules regarding selling the finished product. This is the second pattern I’ve purchased from Kalley and just like the first it is easy to follow..works up fast and is simply beautiful! So cute! Love this pattern. Thank you!